I have downloaded 6 month of CL contract and the prices from my broker feed are significantly different than the replay data. You need to rollover CL contract every month. That means the active contract “changes” every month. However if you have downloaded 6 months of CL the first month from this batch is definitely not the active contract. You need to either download an active contract for the specified period or use a continuous contract (available for PRO version only). For every futures contract you need to check a corresponding exchange website (CME for CL, for example) to see what contract is active. To download 3 months you need to use a continuous contract CL ##-##. 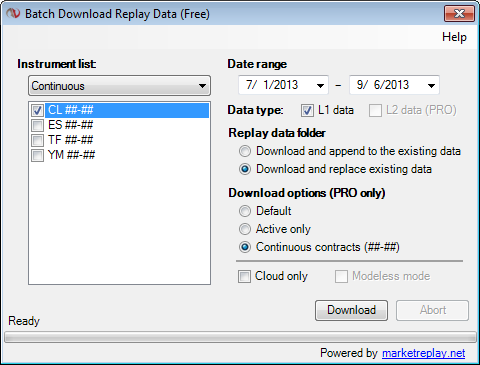 Select “Continuous” option in Market Replay downloader. 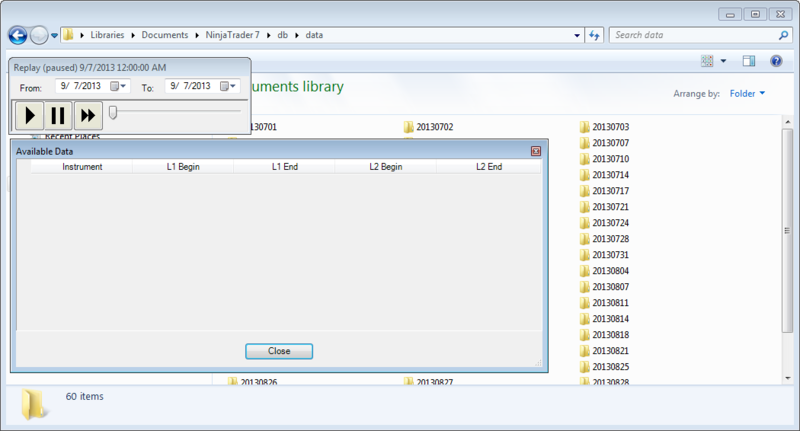 All the data will be stored in NinjaTrader 7/db/data folder. To verify what data is available right-click on Market Replay Panel and select “Available Data”. A new window will open to show a list of available instruments and whether L1 or L2 is available. An empty list means – “no data is available”. To “fix” this issue please verify a date range in a market replay panel. Verify “From” and “To” dates. A Replay Control window (shown below) probably appears outside a visible area. This may happen after you have previously used market replay connection on another computer with bigger screen or multiple monitors and Replay Control Panel has been placed on the second monitor or beyond the visible range of the current computer. For example NinjaTrader setting has been transferred from a desktop to a laptop with a smaller screen. 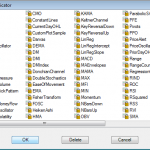 Start NinjaTrader and connect to a Market Replay Connection. Market Reply Control Panel will be shown on it’s default position on the screen. Search the item <ReplayControlCenter> and locate an item <Location> immediately after. It has 2 numbers delimited with semicolon. Those 2 numbers represent a position on the screen a Replay Control Panel will be shown. 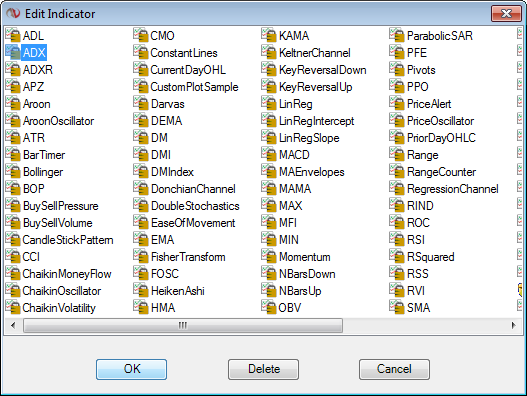 Start NinjaTrader and connect to a Market Replay Connection. Market Reply Control Panel will be shown at the left top corner of the screen. This message may appear if there are some errors in the compilation of existing indicators or strategies. 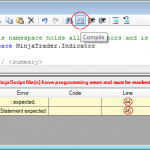 This may be caused by errors in the NinjaScript of your custom indicators or strategies or any other third party code, that you have previously imported. 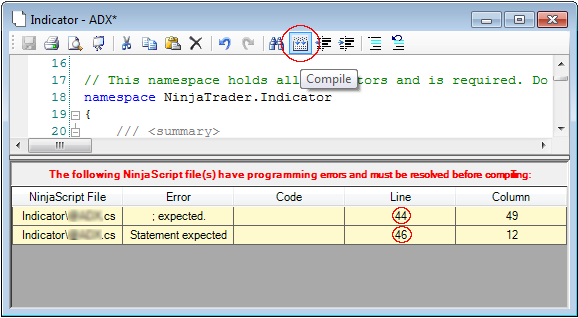 To proceed with the installation you have to fix all compilation errors in your NinjaScript files first. 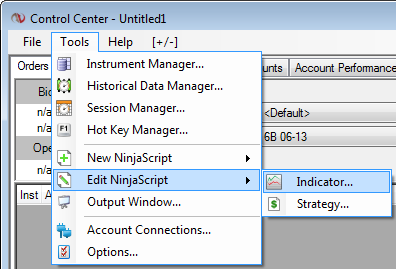 1) Open Tools >>Edit NinjaScript >>Indicator… menu in NinjaTrader Control Center. 2) Select any indicator in the Edit Indicator list and press OK. 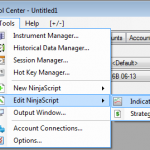 If errors are found in any third party indicator or strategy you need to contact their respective vendors before you can install any Ninja scripts including MarketReplay downloader. 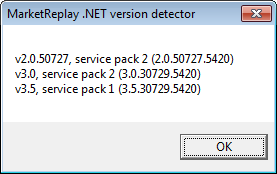 MarketReplay.net support cannot help resolving this problem.